Editor's Note: In November 2018 we were contacted by Chris Fidler, whose Father's family history is within the Village of Ridgeway. His Grandfather, Jack Fidler, lived and farmed on Sloade Lane and his Father was raised there. 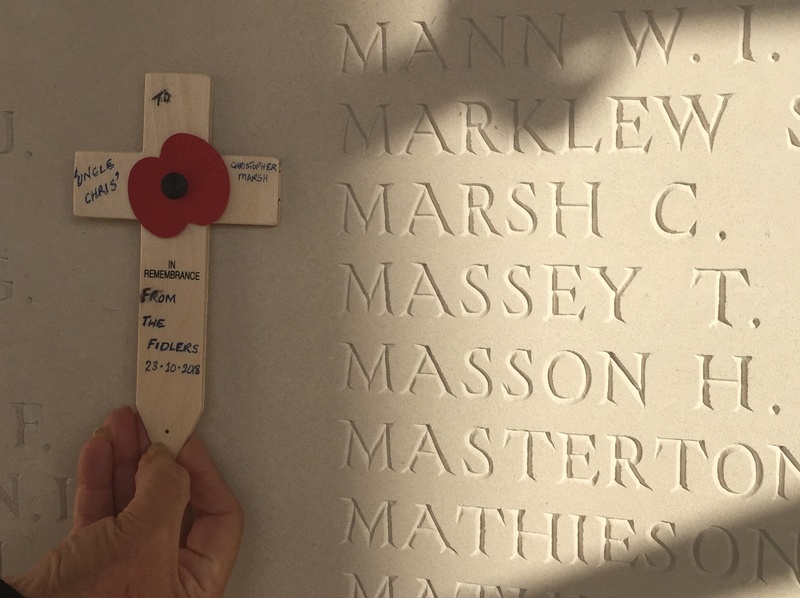 Chris sent us the following article and photographs relating to his great-great-Uncle Christopher Marsh. 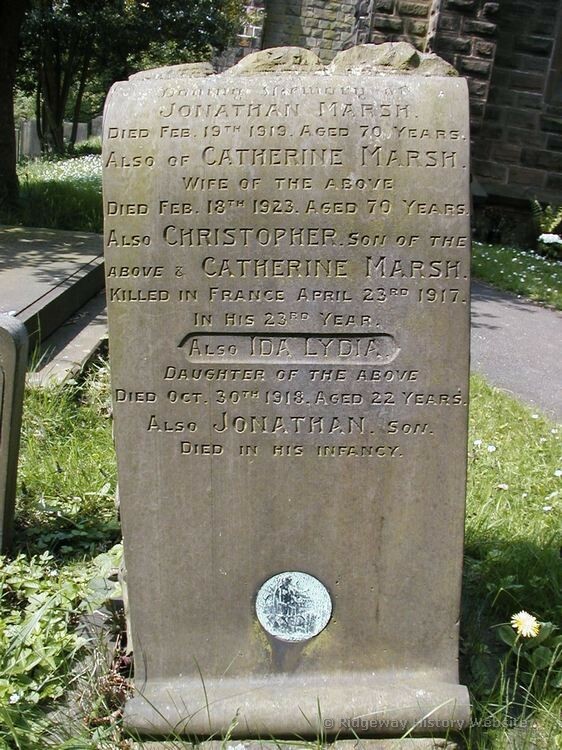 My Grandfather Jack was the nephew of Christopher Marsh, although they were the same age. The two of them joined up together in 1914 and although my Grandfather survived the war and lived until he was 100, Uncle Chris was killed on 23 April 1917 and is commemorated in Ridgeway churchyard (where my Grandparents are also buried). Jack joined and remained with the Derbyshire Yeomanry throughout the war and saw service to my knowledge in France, Egypt and Gallipoli. I am not sure which regiment Uncle Chris joined but he was in the Royal Scots when he was killed . 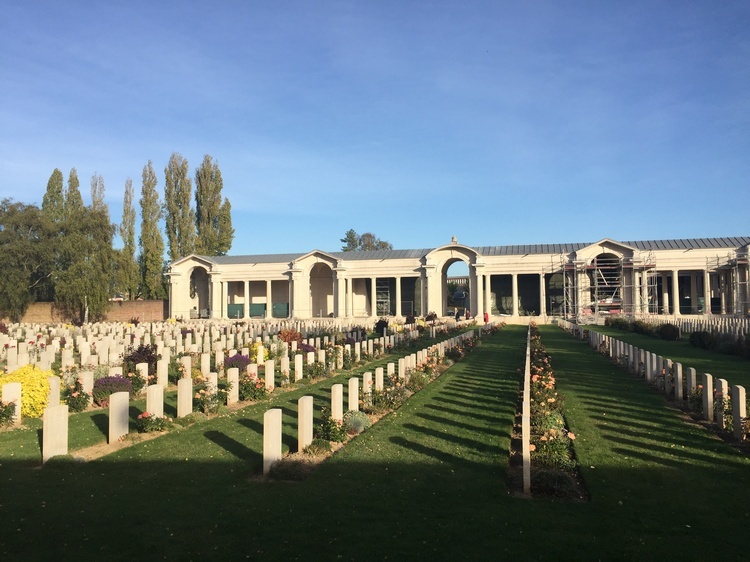 When we visited Arras on 23 October 2018, over 101 years after his death, the memorial was undergoing substantial renovations and all the memorial walls were covered in tarpaulin, but we did manage to persuade the workmen to let us view the relevant inscription, which is shown in the picture below, together with a view of the wall from a distance across the graves. The setting is very peaceful and is a fitting tribute to Uncle Chris and all the others with or without graves.